Hair gel, hair wax, pomade, hair cream – it can get a bit confusing when choosing a styling product. And don’t forget about hair clay, a relative newcomer to the styling game that many men find effective for achieving the hairstyle they desire. Along the way, we’ll delve into hair clay buying tips, compare clay with other styling products, and discuss the proper way to apply it. As befits a product that has gained in popularity in recent years, there’s no shortage of choices when it comes to hair clay. Finding the differences between products makes your buying decision even more challenging. Your current hairstyle, or the hairstyle you hope to achieve, is one of the most important factors when choosing hair clay. Your hairstyle helps determine the length of your hair, and hair length helps determine the type of clay you’ll need. While you can use clay on most hair lengths, make sure that you buy clay with a stronger hold if you have long hair. If you’re trying to achieve a loose and casual style with long hair, then clay is ideal. You won’t get the same kind of hold as you do from a pomade or gel, but you don’t need a super firm hold for popular “messier” styles. Hair clay helps to add volume to your hair if your hair length is short(er) or medium. It’s also effective for a thicker, stronger hairstyle in which you need a hold that lasts the day. When we talk about ‘hold’ regarding hair styling products for men, we mean how strongly it keeps your hair in place. Most hair clays have a medium hold but the hold often varies from product to product. By finish, we mean “shine,” which is how glossy your hair looks after you’ve applied a styling product. The majority of hair clays have a matte (dry) finish that makes it seem that you don’t have any product in your hair at all. Choosing products with plenty of natural ingredients is a good choice for any styling product. Look for clays that have ingredients like beeswax, bentonite, lanolin, and carrier oils that help nourish and soften hair. On the other hand, try to avoid products that contain parabens. Parabens are synthetic preservatives that can be harmful to your hair or scalp. Then again, some parabens meet safety standards by the FDA. Hair clay contains clay – no big surprise, right? The clay most commonly used in hair clay is bentonite, which is naturally sourced and formed from volcanic ash that’s weathered over time. Bentonite is good for hair health in that it helps draw toxins from the hair and scalp. The price of hair clay products varies widely from product to product, in part because of their ingredients, but also because of other factors, like brand name, etc. Of course, just because certain hair clay brands cost more doesn’t mean they’re more effective for styling your hair. But if you’re choosing within a certain price range, do your research to find the best clay, or clays, that fit your budget. You’ll often see the words “premium” or “luxury” used to describe Baxter of California’s product, but that doesn’t mean they’re pretentious, or not suited for every man. They also get the job done in a simple, powerful way. Their Clay Pomade is no exception: it’s a high-quality product that ranks among the best hair clays for a lot of reasons. For one, it produces a firm hold that should last you the entire day but one that’s not so strong that you can’t move your hair around and re-style it if needed. B of C’s clay includes bentonite and beeswax but also has other natural ingredients such as lemon peel, fennel, and sage oils. Fennel seed oil has many hair health benefits, including that it stimulates hair growth, provides needed moisture, and also helps to inhibit the growth of bacteria and fungus on the scalp. Fennel also includes vitamin C, which is a strong antioxidant. While you’ll also find petroleum in Baxter of California’s Clay Pomade, it isn’t sticky and won’t leave a shine, greasy-looking finish. Its scent, meanwhile, has subtle hints of lemon and sage. This clay has a lot else to offer, including that it provides a natural, matte finish, while it also gives hair a lot of texture and definition. Applying it to damp hair and styling it with a hairdryer will help add volume, while it even works to remove frizz from hair. Like with most other clays, you don’t need a huge glob of Baxter of California’s Clay Pomade to get your desired style and to hold it in place. You’ll maintain somewhat of a wet look if you apply it to wet hair – but not a high gloss, mind you – while applying it to dry hair helps you to achieve a natural, smooth appearance. Baxter of California’s Clay Pomade deserves to be on our list for a lot of reasons, including that it provides a natural-looking hold that should last you the day. But it also works to tame frizzy and otherwise unruly hair in a way that many other clays don’t. It’s yet another quality product from a high-quality company. Good luck finding a company that’s committed to natural and organic ingredients and products as much as Seven Potions. Simply put, they develop natural men’s grooming products that work, not the least of which is their Hair Styling Clay For Men. 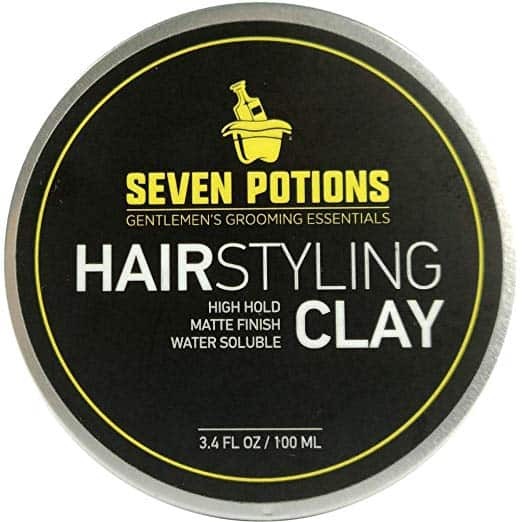 What you won’t find in the Seven Potions Hair Styling Clay are parabens, PEGs, silicones, synthetic fragrances, colorants, or any of the other synthetic stuff you’ll find in many other grooming products. What you will discover is a superb clay that provides a high and flexible hold that lasts the day. Better yet, your hair looks natural, which you might expect. The water-based Seven Potions Hair Clay provides a matte finish with no shine. And it’s a true matte finish, as advertised, not an “almost-matte” finish that you get with lesser-quality hair clays. Because it’s water-based, this hair clay never feels heavy in your hair and it washes off easily. 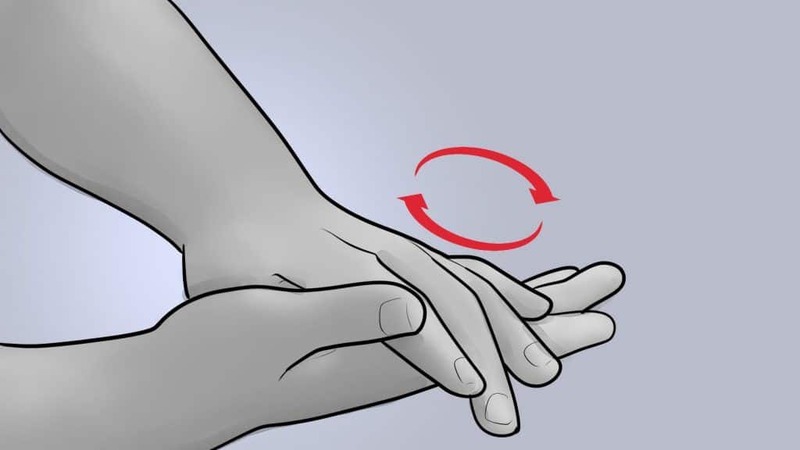 Plus, you only need a small amount of it – which you rub in your palms to warm it up and make it more pliable – to keep your hold strong throughout the day. You can apply to both dry and damp hair without worrying about creating a greasy finish. So, what’s in this natural and organic hair clay? While its list of natural ingredients is long, it includes shea butter, carnauba wax, candelilla wax, coconut oil, sweet almond oil, avocado oil, sandalwood essential oil, and a natural fragrance that comes from essential oils. The fragrance is subtle and never overpowering, and pairs well with your favorite cologne or shampoo. Again, apply a small amount of the Seven Potions Hair Clay at first. You can always add some more if you need a firmer hold. Chances are, however, that you’ll get the right amount of hold from the start. And it’s ideal for short and medium-length hair. Seven Potions stands by their commitment to creating natural, organic men’s grooming products that work. Their Hair Styling Clay is no exception and is a great addition to any man’s grooming kit. 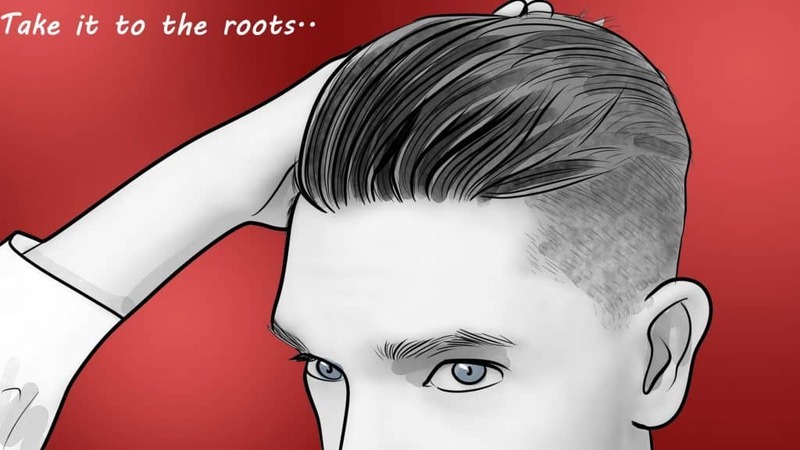 Layrite – the company, that is – has its roots firmly planted in the world of men’s barbering. Founded by a barber, Layrite’s products are formulated by professional barbers who know more a thing or two about men’s hair. Their Cement Matte Hair Clay well-represents their quality line of products, and we think it’s the best men’s hair clay. It’s also strong stuff; it provides a powerful hold that you won’t find in most clays. It’s meant to last, and one application should keep your hair in place all day long. Layrite Cement Matte Hair Clay is a go-to option for men with long hair, or men who want to rock a more extreme hairstyle. While it’s the best hair clay for thick hair, men with thinning hair may also find it useful because it helps to add volume. You’ll also like the Cement Matte Hair Clay’s textured, natural-looking finish that doesn’t leave behind tell-tale flakes like some other clays. Because of its thick texture, you’ll have to rub the clay between your hands to warm it up before you apply it, but that’s hardly an inconvenience given the results you’re able to achieve. 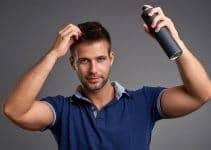 It’s also good for men with extremely curly or coarse hair who may have trouble finding a styling product that helps them keep their hair in place for a longer period. As its name suggests, the Cement Matte Hair Clay has a low-shine, matte finish. Your hair looks natural, not contrived. Layrite’s hair clay is water-soluble, which means it’s easy to wash out in the shower. Meanwhile, many users like its light vanilla scent that isn’t overly sweet and doesn’t overpower your cologne or aftershave. Layrite’s Cement Matte Clay has too much going for it to not include it in any review of the best hair clay for men. It provides a superior hold while creating a natural look, it has a nice scent, and it works on hair that’s often harder to style. In many ways, Smooth Viking’s Hair Styling Clay For Men is on a different end of the spectrum than Layrite’s super-hold clay. Smooth Viking’s clay shouldn’t be your first choice if you’re looking for a maximum hold that lasts 24 hours, after all. It has a shine-free, matte finish without leaving any residue or sheen behind. That’s crucial for achieving certain hairstyles in which no shine is needed (or wanted). It has a similar feel to hair gels and creams but with a more fibrous texture. Unlike creams and gels, you don’t have to worry about using too much product and leaving an unwanted shine on your hair. Smooth Viking’s Hair Styling Clay hold, while not as strong as some clays, is still strong enough. Some reviewers say you shouldn’t count on its hold for more than 16 hours, but that’s more than enough to cover most people’s typical day. It lasts for a fairly long time, and it stands up to moisture and humidity, including the kind of sweat and humidity that comes from a hard workout. It works well for a wide range of hairstyles, including shorter, combed styles. It helps to provide thickness to thin hair and provides texture to flat or straight hair without feeling like it’s weighing your hair down. We think it ranks among the best hair clay for fine hair. It’s easy to apply. For one, it breaks down quickly in your hands as you prep it for the application. It also washes it out easily. You don’t need to use a lot of this clay to get the style and hold you desire. A little goes a long way. The Smooth Viking Hair Styling Clay’s ingredients include bentonite clay mixed with petroleum, beeswax, lanolin wax, as well as a mix of essential oils. It has what some describe as an “earthy” scent that reminds one of, well, clay. In any case, the scent quickly dissipates. Smooth Viking started as a company devoted to everything men’s beards but since expanded into hair care – for which many satisfied customers are grateful. Their Hair Styling Clay is versatile, leaves a natural-looking matte finish, and helps add thickness and texture to your hair. You’ll find Aveda Men’s Pure-Formance Grooming Clay in a variety of reviews of men’s styling products. The logical conclusion is that they must be doing something right but – as always – it comes down to performance. In that regard, Aveda’s Grooming Clay proves its worthiness. The Pure-Formance clay provides strong hold without adding too much shine, and it helps to add thickness to hair – which makes it a good choice for men with thin hair. But it’s also suitable for most types of hair and hairstyles. While its hold is perhaps its strongest feature – and it’s a hold that still leaves your hair workable, when needed – Aveda’s Grooming Clay also leaves a nice-looking matte finish that you’ll often find in top quality clays. You can use it on dry or wet hair, but it may work best on damp hair that you blow dry following application. It can also help you achieve more complex, aggressive hairstyles without leaving your hair feeling brittle or dry. While its hold is on the strong side, it doesn’t leave hair so stiff that you can’t rework it if your style goes out of place during the day. Aveda’s Pure-Formance Grooming Clay makes it easy to style your hair and to keep your hairstyle in place during the day. You’ll like its natural finish and that it retains your hair’s natural bounce. What you won’t find in Jack Black’s many styling products are harmful ingredients. That fact is part of the company’s mantra for delivering quality products that don’t damage the hair, skin, or beard – and their Clay Pomade is no exception. 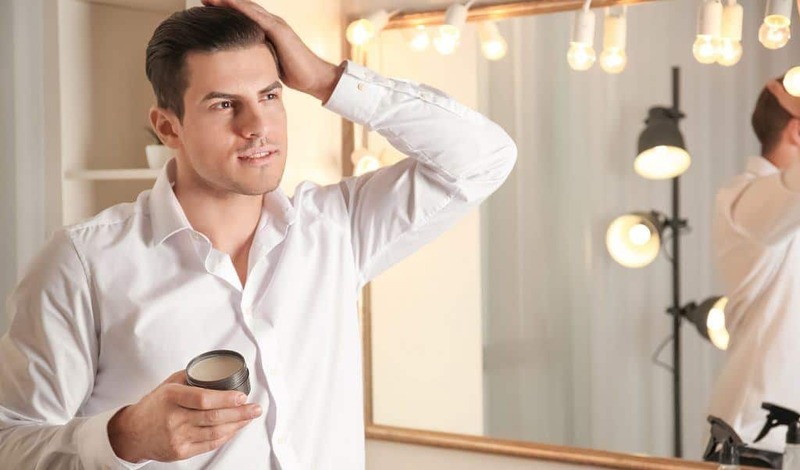 JB’s pomade is vegan and doesn’t contain parabens, alcohol, colorants, or synthetic fragrances, while it’s also dermatologist-tested and cruelty-free. That’s a good place to start, for sure, but it also has many other benefits, including its hold and matte finish. As its name implies, the Jack Black Clay Pomade has pomade-like qualities, but with a finish of clay. It provides a natural finish, whether you apply it to damp or dry hair, without much shine. As far as its hold, Jack Black’s Clay Pomade ranks as medium to strong but it depends on the thickness and length of your hair. Tea Tree Oil – You’ll find tea tree oil in a multitude of hair products because it helps to reduce itching and dryness. The JB Clay Pomade has a creamy texture, creamier than many other clays, and is easy to wash out of your hair. We like that it’s easy to apply on damp hair and that it leaves no clumps, but it’s important to work it into your hands before you apply it. It also has a subtle, clean and natural scent that’s derived from the essential oils used to formulate it. Jack Black’s Clay Pomade is a good all-around product that meets every man’s hair styling needs. Its natural ingredients are beneficial to overall hair health and help add texture and volume to your hair. The founders of Pete & Pedro – Aaron Marino and Stephen Posta – don’t want you to have just any type of hair. They want you to have “good” hair, and to say a product qualifies as good (skip other adjectives like “phenomenal” and “amazing) is high praise, indeed. Their Pete & Pedro Clay is, make no mistake, good, although you could also say it’s very good. But we’ll stick with good, and it’s good enough to make our list of the best hair clay. So, what do we like about it? It’s considered salon-quality, for one, because of its design rendered by high-end hair stylists. But the proof is in the performance and Pete & Pedro’s Clay delivers with a paraben-free product that adds plenty of body and thickness to men’s hair. Its ability to add volume helps make it one of the best clays for men with thinning hair. Pete & Pedro’s also delivers an all-day hold that’s not overly strong, but strong enough to leave your hair pliable and easy to work with if you need to re-style during the day. And it leaves a matte finish that looks completely natural. This clay has a light, non-gritty texture and is easy to apply without forming clumps. The length of its hold depends on the thickness of your hair; for men with thin, fine hair, an 18-hour hold isn’t out of the question. Moreover, it washes easily out of your hair. Another thing worth mentioning about Pete & Pedro’s Clay is its scent. It has a masculine fragrance that most men want from a styling product. As the folks at Pete & Pedro put it, it smells earthy – but “if earth smelled like a freshly-bathed Tiger!” If nothing else, it sounds interesting. The primary ingredient in this clay is bentonite but it also includes mineral oil, beeswax, and lanolin. 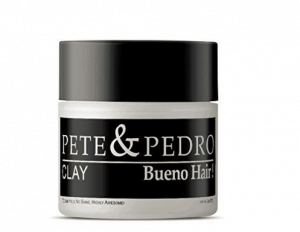 Pete & Pedro’s Clay is an ideal choice for men with fine and thinning hair and delivers excellent results that you’d expect from a great (or “good”) styling product. Definitely worth your consideration. Krieger + Sohne is another company that’s built a strong reputation in the past several years for creating quality men’s grooming products. It’s also determined to create hair products that live up to a warrior’s standard (Krieger is the German word for warrior) for strength and quality. The K+S Premium Styling Clay certainly lives up to a higher standard – including in its list of ingredients that are paraben-free and filled with kind of natural stuff that A) won’t damage hair, and B) won’t stiffen like many styling products infused with synthetic ingredients. Among the Premium Styling Clay’s natural ingredients is beeswax which, along with the clay, provides a firm hold and the right amount of control you need for styling your hair as you wish. You can adjust the hold through the amount of clay that you apply: apply a small amount and get a softer hold; apply more for a stronger hold. The K+S Premium Styling Clay gives you the freedom to create any style you wish while also adding volume to flat hair. It has a lightweight finish that’s ideal for shorter styles, or for longer styles that call for a more natural look. The Krieger + Sohne Premium Styling Clay is a versatile option for men looking for clay that works on a variety of hairstyles. It leaves a natural look, and plenty of movement and flow in your hair. ￼You’ll want to consider Mister Pompadour’s Sculpting Clay if you’re looking to add volume to your lovely locks. While it’s effective on most hair types, men with thinning hair like the “fuller” look and hold that doesn’t inhibit natural movement. It definitely qualifies as a lightweight styling clay that won’t weigh down your hair, while it’s smooth, creamy texture makes it easy to apply. If you have thicker hair, you’ll appreciate how easy it is to spread Mister Pompadour’s clay through your fantastic follicles. 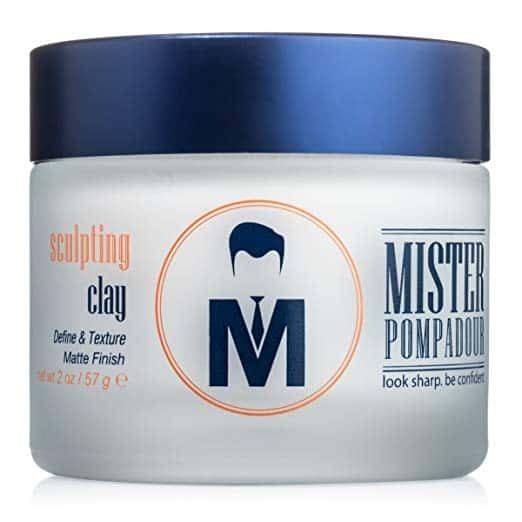 We also like that Mister Pompadour’s Sculpting Clay is good for combed or messy hairstyles. Its bentonite clay absorbs into the hair quickly to provide more body and thickness. Mister Pompadour’s clay includes no parabens and is water-based so that it washes out from your hair easily. It works great on damp hair before you use your hairdryer, and it has a natural scent of eucalyptus that many men love. Mister Pomadour’s Sculpting Clay is versatile and an excellent product for adding volume to your hair. You can use it to achieve a variety of hairstyles. It often seems like life comes down to the basics. The more complicated we make certain aspects of our lives, the more challenging things become, or at least it often seems that way. The same is true of applying hair clay: the better you are at the basics, the easier the process becomes and the better your hair looks. As a general rule, you don’t need to use a lot of clay to “lock” in your hairstyle – and that’s particularly true of the highest-quality clays. In that way, clay is a lot like hair wax; use a small amount, especially at first, and then only add more if you need it. You’ll need to warm the clay up before you apply it, and there’s nothing complicated about it. Simply rub it between the palms of your hand until it’s of a consistency that makes it easy to style and shape your hair. Never skip this step and apply your clay onto your hair straight from the can instead. It’s not advisable to apply some hair products to the roots of your hair. Not so with hair clay, which you can rub into hair from its roots to its tips. Applying it down to the roots helps to provide long-lasting hold. Cover every strand of hair with your styling clay. Evenly distributing it ensures that you won’t leave any noticeable streaks behind. 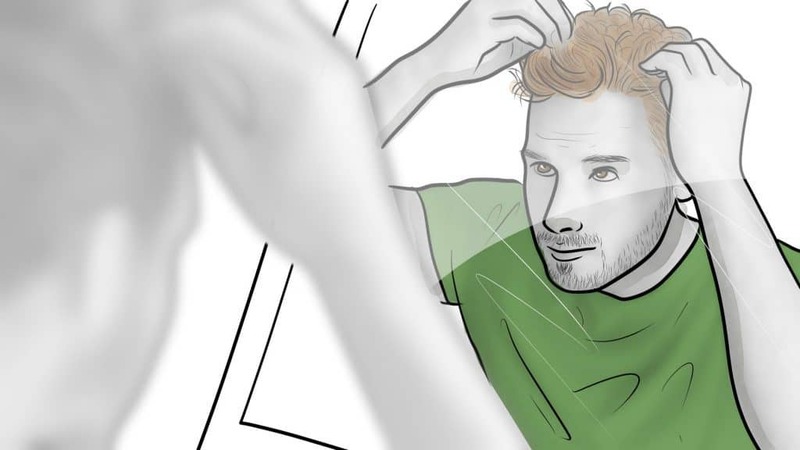 Run your hands through your hair while, again, making sure that you cover it from root to tip. You can lift and push your hair back to create more volume. Styling clay is versatile enough to use before or after styling your hair. Many users prefer to style their hair first and then use a blow dryer to add even more volume. The hairdryer also helps to lock in the clay’s moisture. Others prefer to blow dry their hair into the style they desire and then apply the clay after their hair is dry. 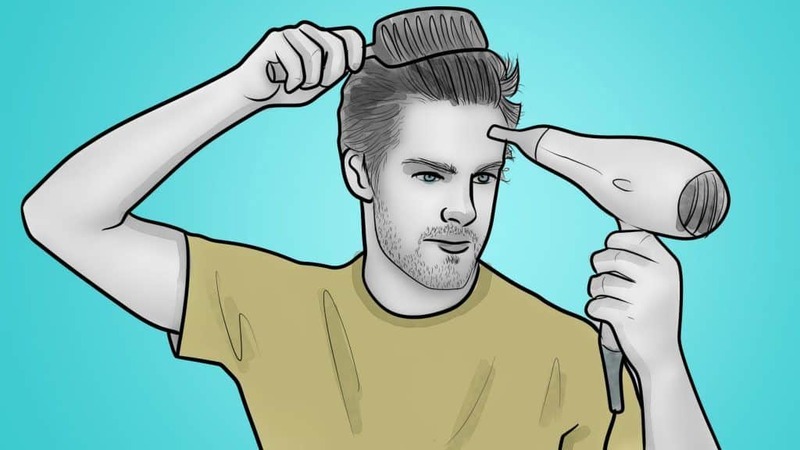 There are a few ways to achieve your hair’s “look,” including with a hairdryer. Or, you can style it with your hands and fingers to achieve a loose, textured style. For structure, such as with a side part style, use a comb to put it in place. Again, a hairdryer helps set it into place. Use one of your dryer’s lower heat settings; if you want an even firmer hold, you can add a bit more clay or even use hairspray. 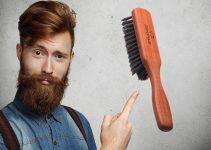 With so many styling products available – from clay to wax to pomade to gel – understanding their differences and what purpose they serve best is helpful, especially as you’re looking for one that best fits your needs. We might as well state the obvious at the start – to be a true hair clay product the product must include clay. OK, so that fact won’t rank among the hottest news stories of the day, but there are some products marketed as hair clay that don’t contain clay. We’re not interested in that kind. To know you’re buying a legitimate hair clay, check the ingredients for clays such as bentonite or ozocerite. Bentonite is the best, and offers a variety of benefits for hair besides serving as an excellent styling tool. A hair clay’s base typically consists of petroleum jelly or water. Petroleum jelly isn’t as greasy as it sounds and provides moisture to hair while providing a better hold than water-based clays. Hair clay usually has a thick consistency that breaks down into a manageable styling product when you heat it up, such as by rubbing it between your palms. It’s a lot like hair wax – and has similar ingredients – but the clay helps make your hair look and feel thicker while adding volume. Using a hair dryer after you apply clay can create even more volume. Hair clay creates thickness by, in part, adding fullness to individual strands of hair. It also comes with a hold that ranges from medium to strong. You can choose a stiff hold or one that allows you some freedom to re-style your hair during the day. Most clays include beeswax, which helps hair to retain moisture without making it look greasy or oily. In any case, you can expect most clays to provide plenty of hold. Another important feature of hair clay is that it creates a textured, matte finish that helps your hairstyle look natural. Unlike hair clay, pomade has a long history. By “long,” we mean a couple of centuries ago, but today’s pomades hardly resemblance the products of yesteryear (which were made from, among other things, bear fat). Many of today’s pomades are oil-based and typically leave a high to medium shine. Water-based pomades have a higher shine but less hold than oil-based ones. But classic pomades, like those that became popular in the U.S. in the 1950s and 60s, are oil-based. So, how do you use pomade? For starters, they’re great for creating classic looks like the pompadour, the quiff, the Duck-tail, and other styles that hearken back to the “greaser” look. Pomade’s hold is stronger than that of other styling products but it’s not so firm that your hair becomes so stiff that you can’t restyle it during the day. Pomades won’t dry out during the day, and they don’t leave tell-tale flakes. The hold varies from product to product, however. Pomades work best with medium to thick hair. And, as a final note, you’ll probably want to think twice about buying an oil-based pomade if you have acne. The oil can clog pores and aggravate your acne issues. Like clay, hair wax is a great option if you’re looking to add volume to your hair. 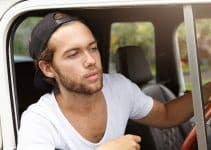 And, like clay, wax won’t leave a glossy shine like pomades but enables you to create the messy, strategically-tousled look that many men prefer these days. While a wax’s hold typically ranges from medium to medium hard, it’s not so firm that you can’t re-work your hair during the day, if needed. Like pomades, they don’t leave flakes – at least not the high-quality waxes, that is – and they tend not to dry out (again, the higher quality waxes). Wax is a versatile product in that it’s suitable for almost every hair length and thickness. It’s also a good choice if you have sensitive skin because its ingredient list usually includes natural oils and beeswax. It’s often diluted with oil or fat to make it more pliable before you apply it to your hair. Hair wax also comes in a wide variety of scents. Most of the fragrances come from natural – not chemical – ingredients, which is always a good thing. “Hair gel” is often used as a catch-all phrase for a variety of hairstyling products but it’s a different product than clays, waxes, and pomades. For one, gels typically include a copolymer called PVP K-90 that helps provide superior holding power. The hold, mind you, is something that sets gel apart from other styling products. Most hair gels provide a stiff hold, although some produce a lighter hold. In most cases, however, the hold is plenty strong enough to last you through the day (but not as workable as most other hairstyling products). Creams work well for giving mid-length and longer hair a natural, healthy look, as well as a natural-looking shine that isn’t too greasy or oily. 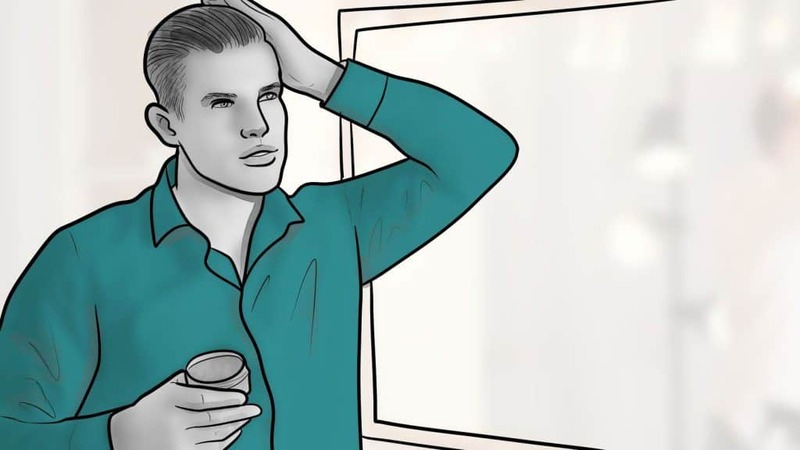 Many men with thin or fine hair use hair cream instead of pomade or wax because cream has a lightweight feel. But it’s good for a variety of hair types, including for frizzy hair that’s hard to keep under control. Hair pastes tend to have a thicker consistency than pomades – similar to hair clays – and you only need a small amount to get your preferred style and hold. Paste has a medium hold and shine and is water-based, which makes it easier to wash out between applications. Paste provides volume and texture, especially if you apply it to damp hair, and is another good option for men who prefer the tousled look. Hair balm has several unique characteristics, including that you don’t massage it down to your scalp as you would with other products. It also tames frizzy hair, which not every styling product can claim, but is useful for achieving a wide range of hairstyles. Be wary of using hair balm on a daily basis because it can make hair look greasy and form clumps. Your best bet is to wash your hair regularly to remove the balm before your next application. Sea salt spray has gained increasing popularity in the past few years and works great for men and women who want to achieve the textured and tousled “beach” look. The salt water found in sprays absorbs the natural oils of your hair to give it better volume and texture. One of sea salt spray’s benefits is that doesn’t leave your hair feeling sticky or hard, unlike many hairsprays, and provides a light to medium hold that enables your hair to retain its natural “bounce.” You can also use it daily, especially if you use it in moderation. 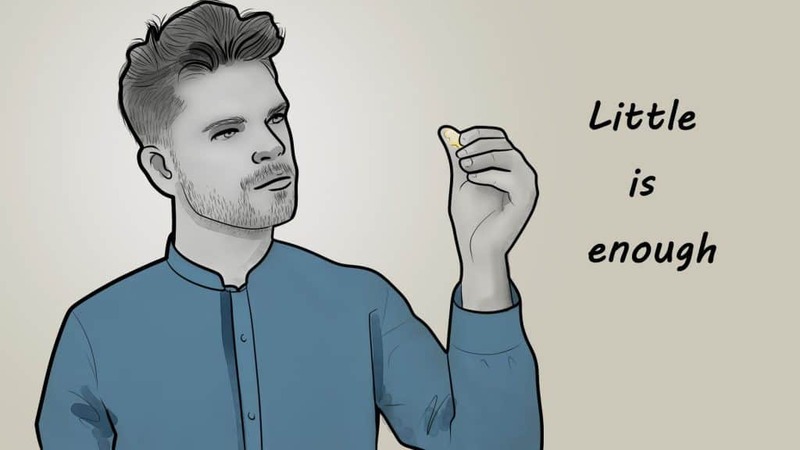 The good news is that there’s plenty of quality hair clays for men. The product you choose depends on many variables and personal preference but, for us, we strive to select products that cover a wide range of hair types and styles. That said, most hair clays accomplish the same thing (they provide texture and volume, they leave a natural matte finish, etc. ), but overall performance remains the number one criteria. If a product performs well, and as expected, it’s naturally going to earn high marks. We also study the reviews of customers and peers. While we want to be careful about reading too much into some customer reviews, it would be crazy to ignore them. Finally, we take into account other factors such as price and scent, although the scent isn’t a primary concern unless it’s unacceptable to a lot of users. As always, we value your opinion. Do you have a favorite hair clay? Have you tried any on our list? We’d love to hear from you!